Tired of dull skin? 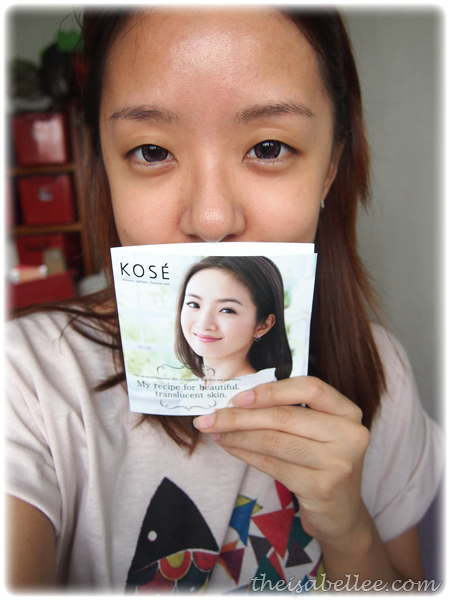 The Kose Sekkisei range aims to give you snow-white skin with its whitening ability. Transform the Kose Sekkisei Lotion into a mask for 10x moisture by pouring it into the cap and submerging a compressed pill mask into it. Once it has absorbed the goodness, apply on your face! Now now.. 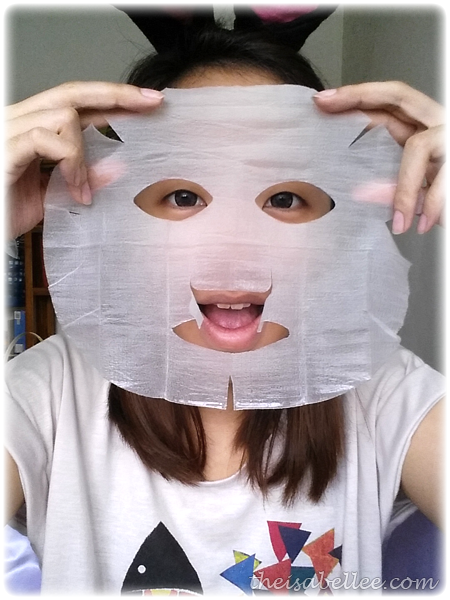 They've made things easier with the Kose Sekkisei Lotion Mask which is a ready mask in a packet. Leave on face for 5-10 minutes and relax. 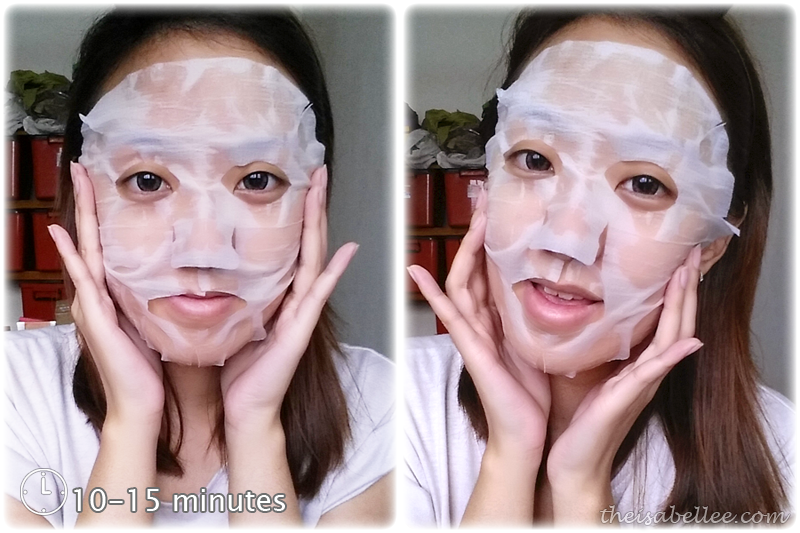 I usually use the sheet to wipe the remaining moisture onto my face. Waste not! =x Pat in the remainder to help it absorb. And.. behold! Skin is visibly hydrated and brightened. It also looks less dull and there seems to be a glow from within after just one use. I especially like that it doesn't feel sticky or uncomfortable after. 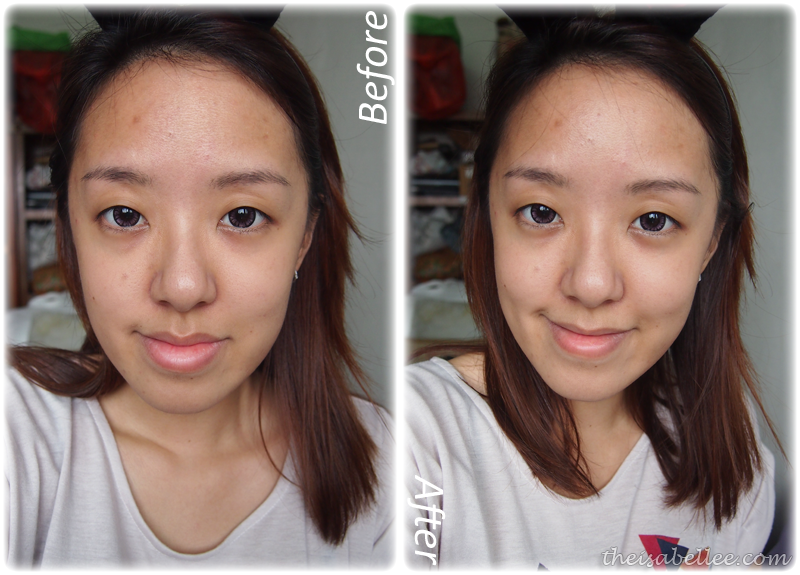 By continuously using for 3 days, I found that pigmentation on my face is lighter and there is an overall whitening effect. This is from just the lotion mask.. Imagine if you're using the whole range! This is proof that it's the best whitening product. 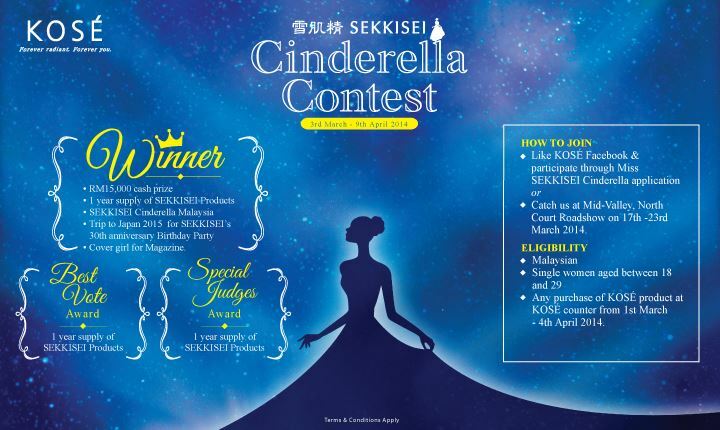 You can also join the Cinderella Contest for a chance to win RM 15 000, 1 year supply of Sekkisei products, trip to Japan and to be a magazine cover girl! 1) 3 main ingredients used in KOSE Sekkisei Lotion Mask are Coix Seed Extract, Angelica Extract and Melothria Japonica family (White Lotus) extract. 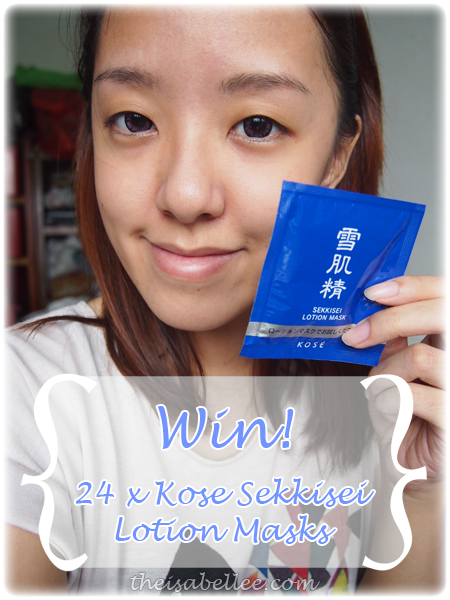 2) One of the nine benefits of the KOSE Sekkisei Lotion Mask is that it moisturizes the skin! 1)The three major ingredients used are coix seed extract, melothria and angelica. 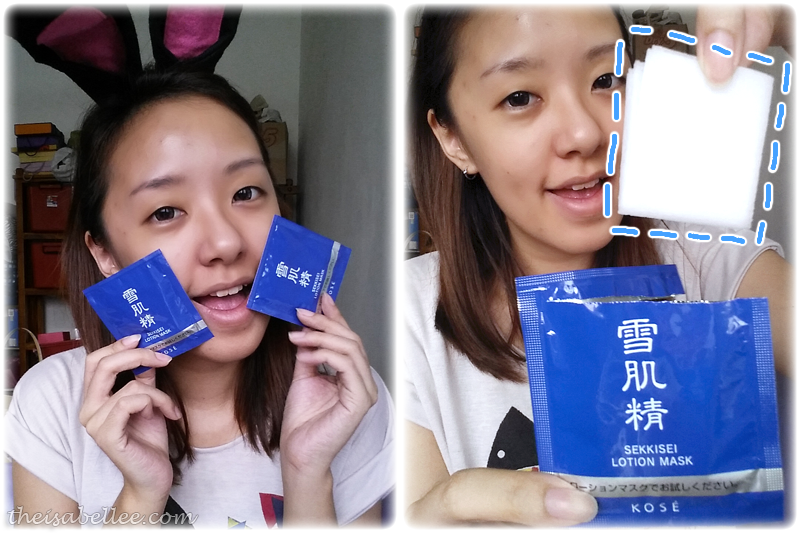 2)One of the nine benefits of the Kose Sekkisei Lotion is whitening. Let me be lucky this time please !